It's the first Friday of the new year and this weekend is starting out with a wedding!! We're coordinating a fun winter wedding at the Four Season's hotel & I'm pretty excited for this winter white wedding - literally since it's going to be snowing! Here's a few of my favorite finds from the week! 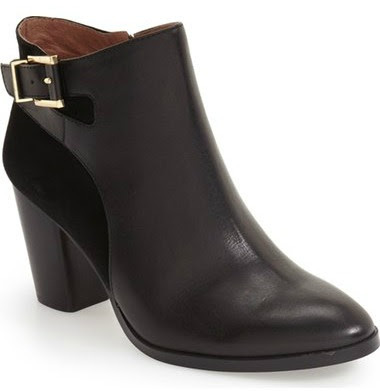 During Nordstrom's sale last weekend I scooped up these ankle booties. I'm always a little weary of ankle booties because I'm afraid it'll rub my ankle the wrong way, but these are crazy comfortable! I've worn them to work (12+ hour day) & to an event on Monday night - they are winners!! Bonus is that they are still 40% off! Hoping to get a photo of them this weekend! Monday night, Tess from Sequins are the New Black & I attended Alice's Table flower arranging class. I've wanted to attend one of their classes for a while to learn the tips & tricks to not only flower arranging, but actually keeping these blooms alive!! My favorite tips of the night: 1. create a hashtag # with tape on top of the vase - this lets you play around with how the flowers will be arranged in the vase. 2. if you're using roses, take the "guard petals" off - these are the outer ones that are going to be a bit bruised from transport & then lightly blow to "fluff" the petals out! It was a super fun couple of hours & if you're ever in need of a different girl's night check them out - they're expanding across the country! 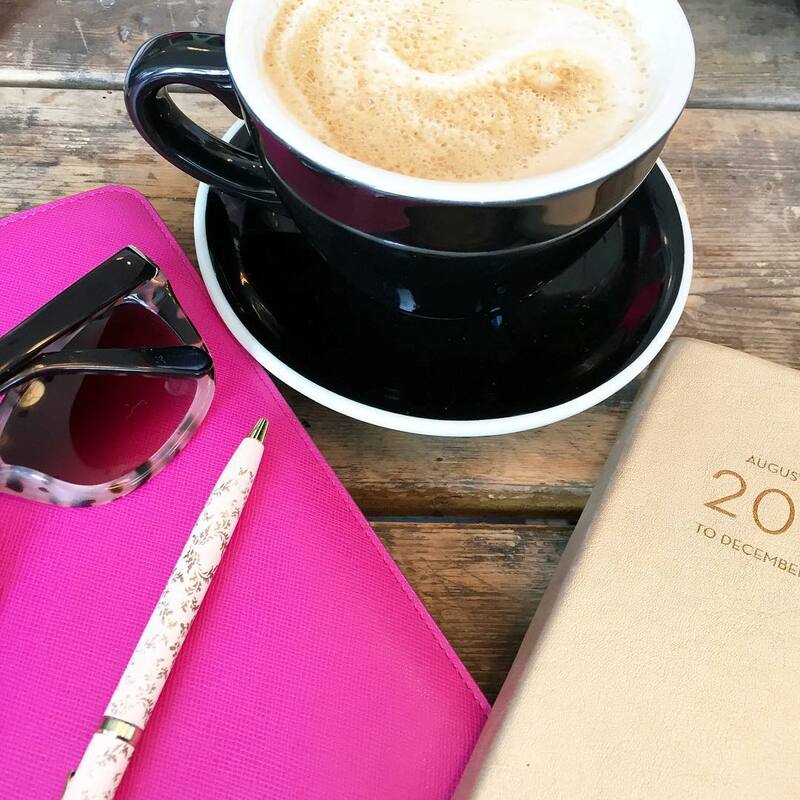 || Love this post on how successful women tackle Monday's || This outfit from Suburban Faux Pas has me realizing I need a pair of really great faux leather leggings || This week the first "smart" hairbrush was released - that's a thing now || If you're watching the bachelor here's why it matters more than ever - said in my Chris Harrison voice! Hope you all have a wonderful weekend! See you Monday for weekending! A flower arranging class sounds like a fun idea!!! The wedding will be gorgeous especially with a snowfall as I imagine that is what the bride us going for with a winter wedding. Gimmie all the Tuna, eating a lot of it lately, lol. Have a ball this weekend gorgeous! Those ankle booties are super cute!!! Love your flower tip. My mom has a ton of antique frogs (basically metal versions on what you did with the tape), but I never thought to use tape. So clever! Tuna sounds like an easy way to add protein with zero prep! Hope the wedding is a success this weekend! Those ankle booties are so cute! I just bought a new pair that are gray and navy blue...I really love all the cute ones out now. And how cool it will be snowing!! Have a great weekend! I'm loving those chic ankle booties! That flower class sounds like so much fun- I have no talent for that so I need all the help I can get! Ha. Have fun at the wedding this weekend!! Stay warm! Those are some great tips for flower arranging! What a great way to start off the new year than by learning something new. Great idea! Have a fabulous weekend. OMG a snowy wedding!! That will be so pretty!!! How perfect that the winter wedding will have snow! I'm sure the pictures will be beautiful. Super interesting read about The Bachelor. I am guilty of watching each season and it really is true -- the show deserves some respect coming back for 21 seasons. Although, it does still feel like a guilty pleasure :) Good luck with the wedding and have a fabulous weekend! That flower arranging class sounds like it was so much fun!! Have an amazing weekend! Happy Friday!! Your flower arrangement is so pretty, what a fun girls night out idea! It would be so fun to take a flower arranging class. Making a hashtag is such a great tip! 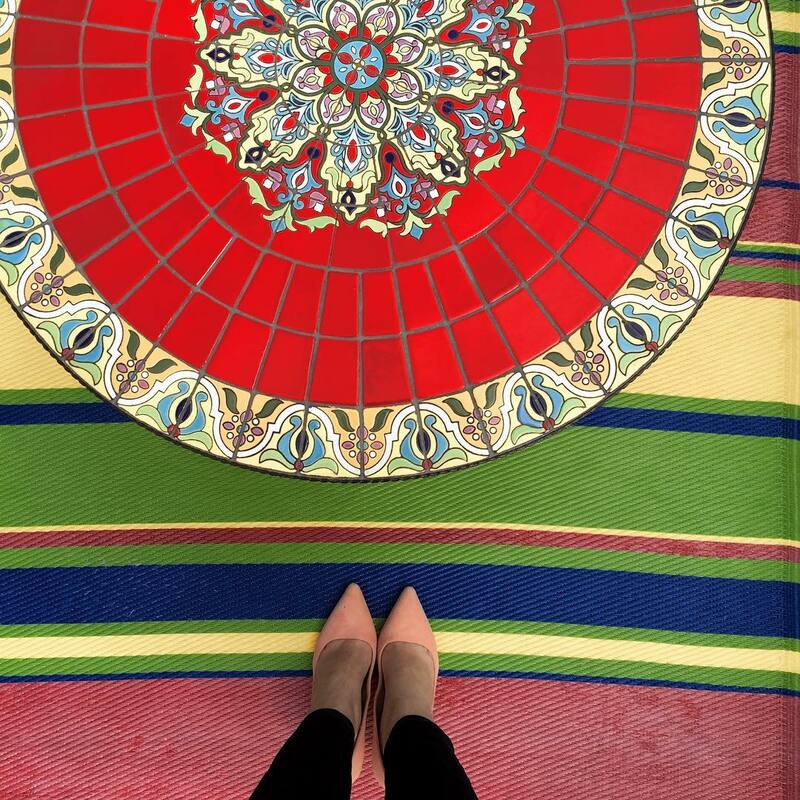 Love your new ankle booties! How dreamy to have a winter wedding when it's snowing outside! Can't wait to see pictures that you share! I love ankle boots! Glad you found a pair you liked. And I am may need to try that tuna. I don't like it a ton, unless it has a flavor. I would love to attend a class on flower arranging--that sounds like so much fun and probably will be so useful with your wedding business! Have fun with the winter wedding--I bet it will be gorgeous! I bet the wedding will be gorgeous with the snow! I would have loved a winter wonderland wedding. Those ankle booties are super cute!! Have a great weekend! Those ankle booties are gorgeous!! I wish I needed some black ones, but I don't. Good luck with the wedding this weekend... I can't wait to see some snippets from it! 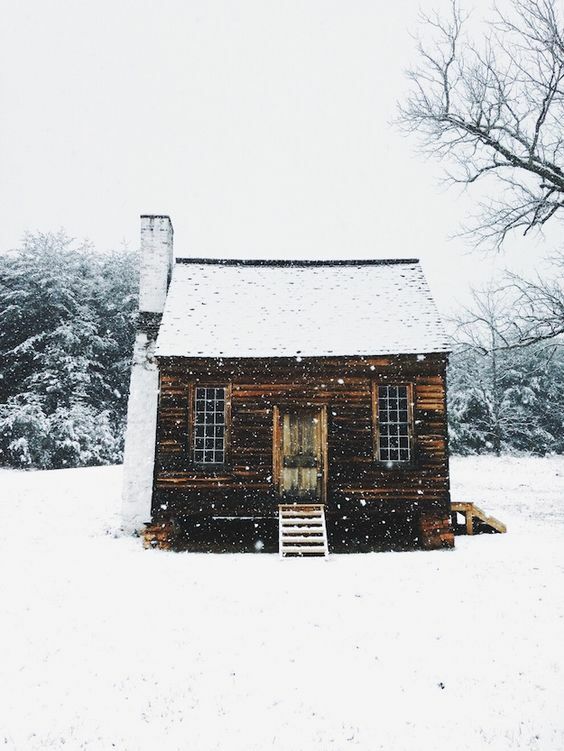 A snowy wedding would be just gorgeous! A winter wedding complete with fresh snow sounds beautiful! Those booties are a steal- great find! Love those ankle booties ! I could use one more pair :) Happy Friday ! I love your flower decorating event!! Such a fun idea! My mom owned a flower shop when I was little and I definitely miss being around flowers! Such a great idea about the flowers honestly that is like such an aha moment! Those booties are so cute and such a good price point. Hope you have a great time this weekend! 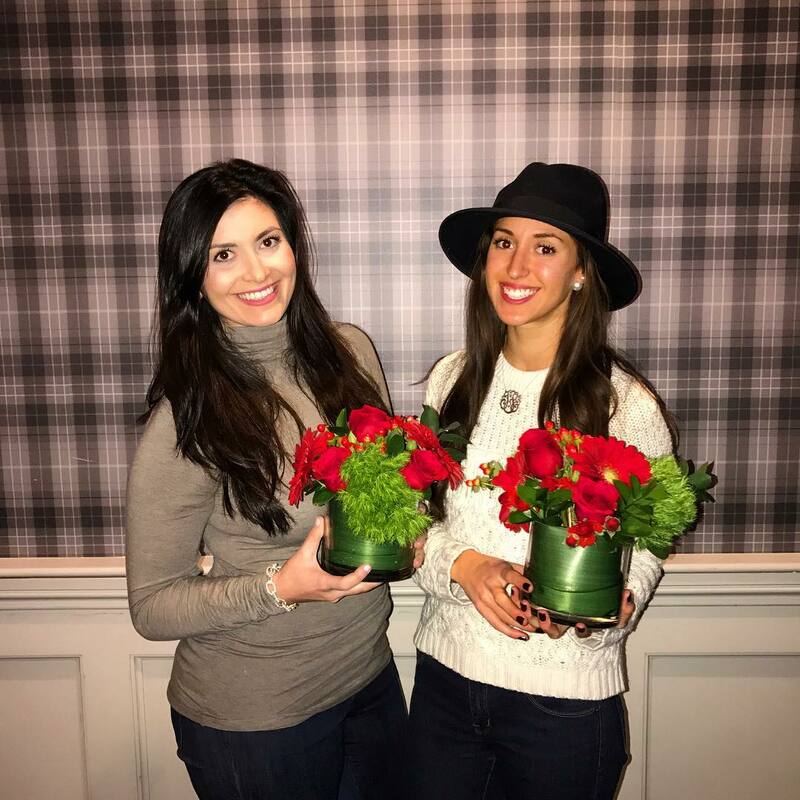 Thanks for sharing your favorite tips from the flower arranging class you attended! How wonderful that the weather is working together with the winter theme of a white wedding this weekend! I'm sure it'll be beautiful!! that flower arranging class looks so fun! gosh i love flowers. that hashtag is a good tip! and hello cute booties and on sale! love when i find a good pair that can last all day - and as you said - not dig into the ankles! I love a pretty winter wedding! Also love those booties you scored! And I would love to take a flower arranging class! Best of luck with the wedding this weekend, I'm sure everything will go smoothly and will be such a success! The snow will make for such a beautiful backdrop! That flower arrangement class sounds like so much fun and one my mom would love, hopefully they'll have a class in Brooklyn so her and I can go! Thanks so much for sharing, beauty, and I hope you have a wonderful weekend ahead! Winter weddings are just so magical...there's just something about them that I adore. I bet everything will be gorgeous! I've seen those tuna packages and have never bought one, now I must try them! Hope you have a great weekend, girl! Can't wait to see pics from this weekend's wedding!! I've always thought a snowy wedding would be so fun! (though in NC - everything shuts down for just the call for snow haha). Hope it goes great! No one else I'd rather be Martha Stewart with!!! I saw that tuna this week when I was at the grocery and I was intrigued about how well those flavors would go together! Glad to know you liked it. Smart hairbrush, I can't! A smart hairbrush? Oh my... gotta check that out. I'm on the hunt for some cute ankle boots. Something I dont have in my closet. Actually I do have some from 10 years ago & thought, the style came back, but they have square toes & I'm not digging that with jeans. A winter white wedding sounds absolutely beautiful! Enjoy! I also loved that post about what successful women do on Mondays. So inspiring! 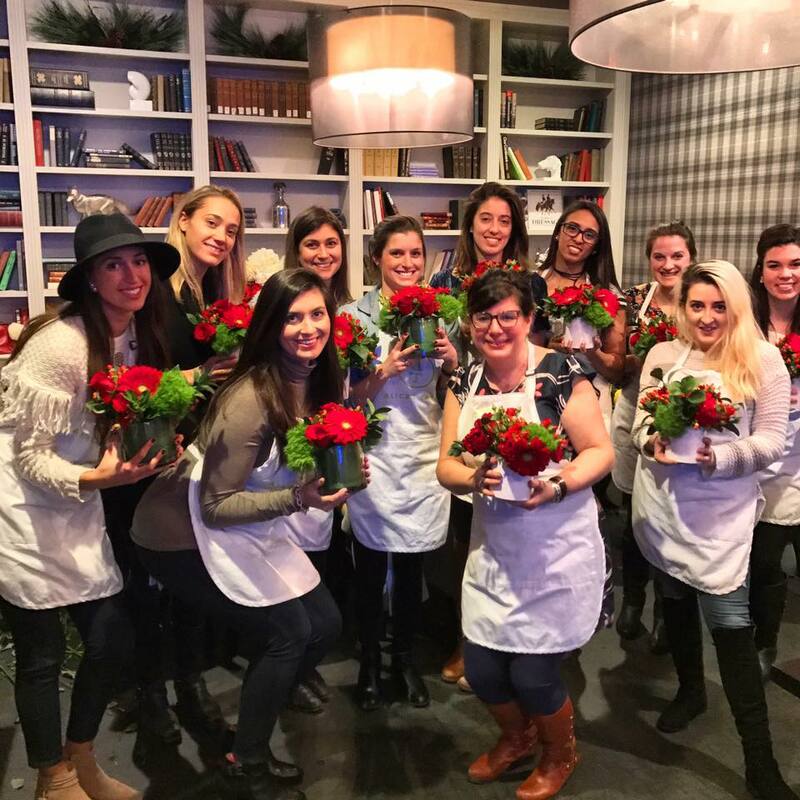 Your flower arranging class looked SO fun - thanks for sharing some of those tips! Good luck with the wedding this weekend! lol wtf a smart hairbrush? hilarious! good luck with the wedding! i love tuna so i'll have to check out those creation thingys. I hope there's a little snow for the wedding - photos in snow are phenomenal! Flower arranging sounds so fun! I hope we get classes like that down here, I want to know more about that topic. 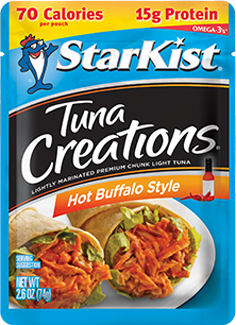 I will have to try out that buffalo tuna, I love buffalo and never thing about getting tuna with that flavor! Enjoy the wedding! Have a great weekend. Those ankle booties are perfection! I hope the wedding goes well (which I know it will because y'all are fantastic!). A white wedding sounds so beautiful! (It's actually snowing in Dallas right now, which is odd for January! Haha). That flower arrangement class sounds like so much fun! I totally wouldn't have thought to take off the old outside flower petals, but it makes total sense! The winter wedding sounds like so much fun! I just love the way the photos turn out with a snowy backdrop. The flower arranging class sounds like so much fun - definitley a skill I could improve on! Love your flower arrangement! That sounds like such a fun night out! Good luck with the wedding! Can't wait to hear about it. Winter white wedding sounds so lovely! A wintry white wedding sounds perfect. I hope it is magical for the happy couple! Your flowers are beautiful and I might need to try some tuna and check out that smart hairbrush! Have an awesome weekend! One of the things on my bucket list is to take a flower arranging class, so much fun! Yours were gorgeous! I bet the wedding you coordinate is going to have some really pretty pictures with the bride in white surrounded by white snow! You must share a picture! Happy weekend! I've been reading about Alice's Table and have been soooo intrigued! I actually signed up to possibly do some sponsored content with them because I'm THAT interested. It sounds like such a fun night with girlfriends to do some unique and learn a new skill. Love those booties too... I have a window open to check them out! Chris eats one of those tuna packets nearly every day for lunch. His favorites are buffalo, ranch, lemon pepper and hickory smoked. A winter wedding sounds fabulous! Speaking of fabulous, those flower arrangements!!! That flower arranging class looks so fun! I would love to go to one :) you did a great job too. How fun is that flower arranging class! Great tip with the hastag for easy styling. I seen that "smart" hairbrush on the news... so crazy weird!